WATCH SHORT VIDEO BELOW AND SEE! MY ACCOUNT BACK OFFICE FOR NOW! WHAT IS PRIADO WEALTH ALLIANCE? 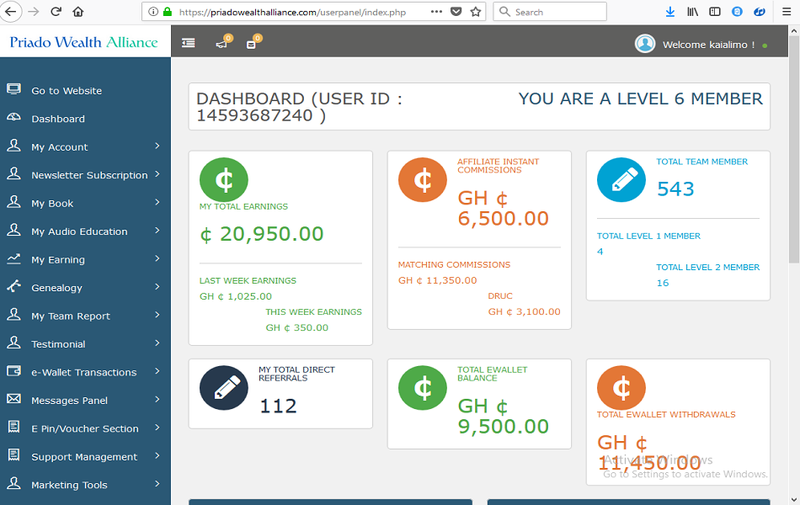 Priado Wealth Alliance is a simple online network business registered by the PRIADO GROUP OF COMPANIES under the business laws of Ghana. 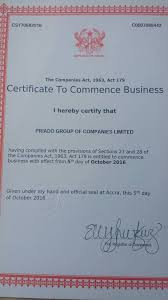 See certificate of PRIADO GROUP below. So be rest assured it's a legit and legal online network business. 2. WHAT IS THE BUSINESS ABOUT? It's simply a business about marketing educational E Books. 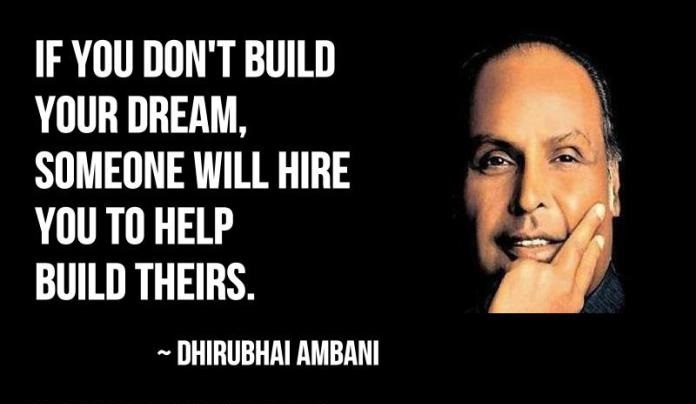 Books about PERSONAL DEVELOPMENT, FINANCIAL AND MOTIVATION. So you simply join to get these EBOOKs and also help to market these eBooks. 3. HOW MUCH DO I NEED TO JOIN PRIADO? Just a ONE TIME GH¢ 30.00 OUT OF POCKET. Just 30 cedis. Unlike other businesses where you will be asked for over 1000 cedis and the rest. This is just 30 cedis. One time payment. No monthly fees. 4. WHAT DO I GET AFTER THE 30 CEDIS TO REGISTER? You get your own Back office dashboard, Your eBooks ready for you to download and read to enrich your mind and your personal REFERRAL link to also invite others. 5. HOW MANY PEOPLE SHOULD I INVITE TO JOIN? Only 4 people my dear. You task is to just bring 4 people on board. And let me ask you, of all the friends you have on whatsapp, facebook etc, will getting just 4 be a problem? Surely not. Some people get their 4 in just same day of joining. 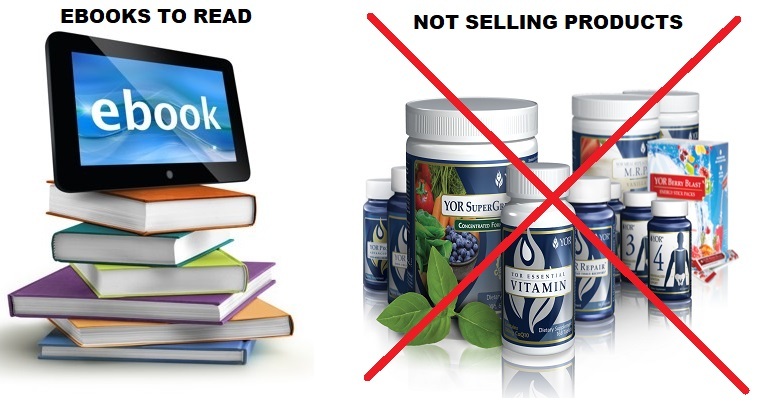 YOU DOWNLOAD BOOKS..NOT SELLING HEALTH PRODUCTS HERE AND THERE. HOW WILL YOU MAKE MONEY WITH PRIADO? a. INSTANT GH¢5.00 on each person you register immediately. Yes this is just to warm you up. 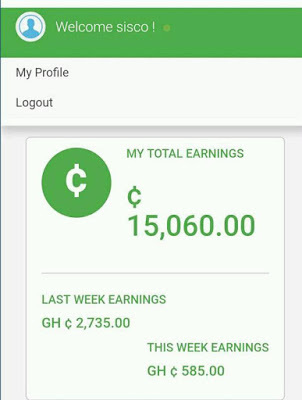 For each person you register you earn 5 cedis instantly. b. Company 4x6 Forced Matrix. Priado Will build your team in a 4x6 matrix for you. Meaning starting with your first 4 people and 5 levels deep. See the image below. You see that, Priado will pay you money on each of the levels as you see above. LEVEL 2: 16 people, this are the people your 4 people also registered. 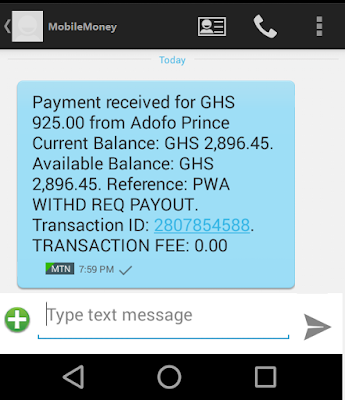 Priado pays you another 5 cedis on all on them, you make 16x 5 cedis= 80 cedis. LEVEL 3: These are the people the 16 people also brought. Priado pays you 15 cedis on all of them. You make 64x 15 cedis= 960 cedis. LEVEL 4: These are people the 64 people brought. Priado pays you 30 cedis on each of them. You make 256x 30 cedis= 7,680 cedis. LEVEL 5: These are people the 256 people brought. Priado pays you 75 cedis on each. You make 1024x 75cedis= 76,800 cedis. LEVEL 6: These are people the 1024 people brought. 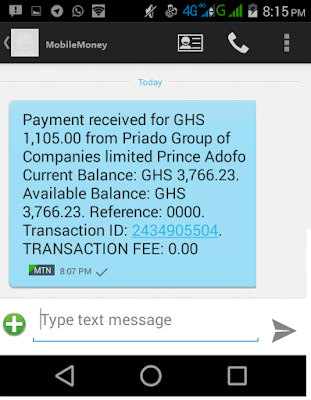 Priado pays you 150 cedis on each. You make 4096x 150 cedis= 614,400 cedis. .....So by the time you finish your 4x6 matrix, you will make a TOTAL OF GH¢ 699,940.00!!.. ....JUST IMAGINE WHAT THIS MONEY CAN DO IN YOUR LIFE!..THIS IS BIG! Priado Will Automatically be upgrading you to higher levels with some of the money you make in the business. So you pay nothing from your pocket ever. Did you hear that?..YES 100% MATCHING BONUS on your the people you personally register. 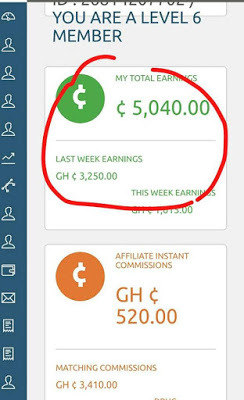 This means, the 4 People you will register, anytime they make money in priado, you also receive the same money in addition to yours..hahahahahaha...Can you believe that?..Can you understand why I made over 3000 in just 2 months? Let me explain so you get it. Assuming you got your 4 PEOPLE. 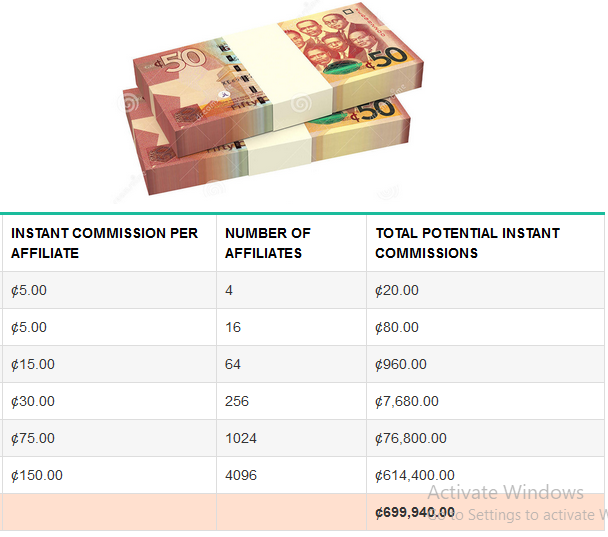 When each of these your 4 people make any money in PRIADO ALLIANCE you also receive that same money to add to yours. So you have 4 PEOPLE, each of them made say 100 cedis today, Guess what? 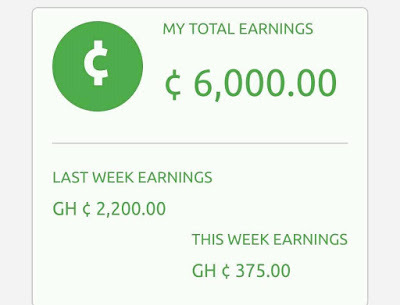 Okay.. what if each made 500 cedis this week? What if each of them makes 1000 cedis this month? You will make 1000cedisx 4= 4000 cedis..ooooops!.. 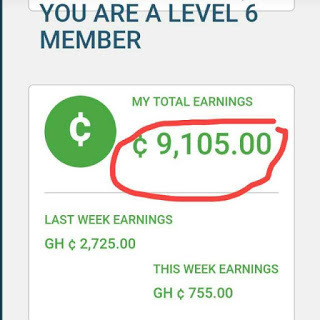 When each of them make 10 cedis a day, you will make 10cedis x 1000 = 10,000 cedis a day! When each makes 50 cedis a month, you will mae 50 cedis x1000 = 50,000 cedis a month! .....hahahahaha..just think about that..YOU SEE WHY I MADE SO MUCH IN 6 MONTHS?..MATCHING BONUS! YOU WILL MAKE MORE THAN ENOUGH MONEY TO PAY YOUR BILLS AND FESS AND CHILL!! HOW WILL YOU GET YOUR PAYMENTS? 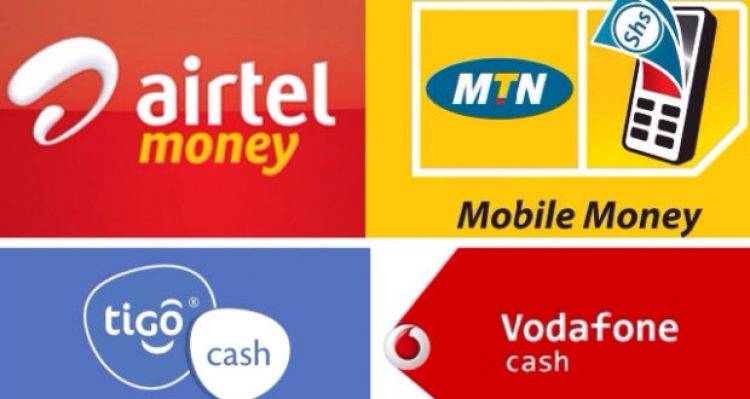 You will get your money by MTN,AIRTEL,TIGO OR VODAFONE MOBILE MONEY OR BANK TRANSFER.Which one you want. Any day, anytime, Just request your money and you will be paid same day. HOW WILL YOU HELP ME WHEN I JOIN? 1. I will be registering new members under you in a first come first serve manner.I have gotten my 4 people already so the system places new members under my team in order they joined. So the earlier you join and position yourself, the better for you. 2. I will personally show you my FASTEST METHOD TO GET MORE people on your team to make more money. These are my personal tricks I used to make this money and still counting. I AM READY TO JOIN..HOW DO I REGISTER? VERY SIMPLE. IF YOU HAVE YOUR 30 CEDIS READY JUST CONTACT ME ON MY NUMBER BELOW TO BUY YOUR EPIN TO REGISTER. YOU NEED AN EPIN TO REGISTER. AFTER YOU GET YOUR EPIN CLICK ON THIS LINK BELOW FOR THE REGISTRATION PROCEDURE AND FOLLOW IT TO REGISTER. VERY SIMPLE STEPS. THE DECISION IS YOURS TO MAKE NOW..STAY BROKE AND COMPLAIN OR JOIN US AT PRIADO.